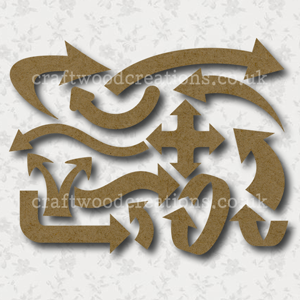 Craftwood Arrows are made from 2mm Premium Grade MDF. Suitable for many craft applications. Size shown is approx maximum size of largest piece. inks, stamp pads, sprays etc.